What a wonderful honor to have a gobo in the Rosco catalogue that I designed! I’m excited to see how designers use this in their work. DREAM COME TRUE, thanks Rosco! Click on the link below to read about the making of this gobo! 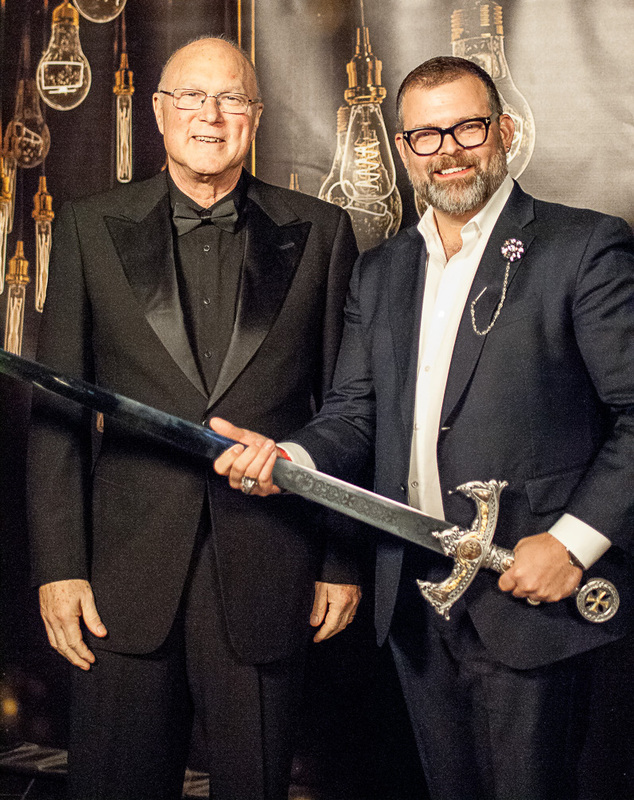 It was an incredible honor to win the inaugural Knight of Illumination USA Award. This award represents more than two decades of work lighting dance professionally. Dance will always be my first love and it inspires and informs me constantly in my other work. It was also humbling for it to be sponsored by ETC and to be presented onstage to me by the late Fred Foster, whom I considered to be one of the greatest influences on our industry. I’m so glad I got to have dinner with Fred that evening. This sword will always remind me of him. Check out one of Al's first features in Lighting and Sound America! This piece from 2002 offers a glimpse into the world of Alvin Ailey American Dance Theater's touring staff and rig. 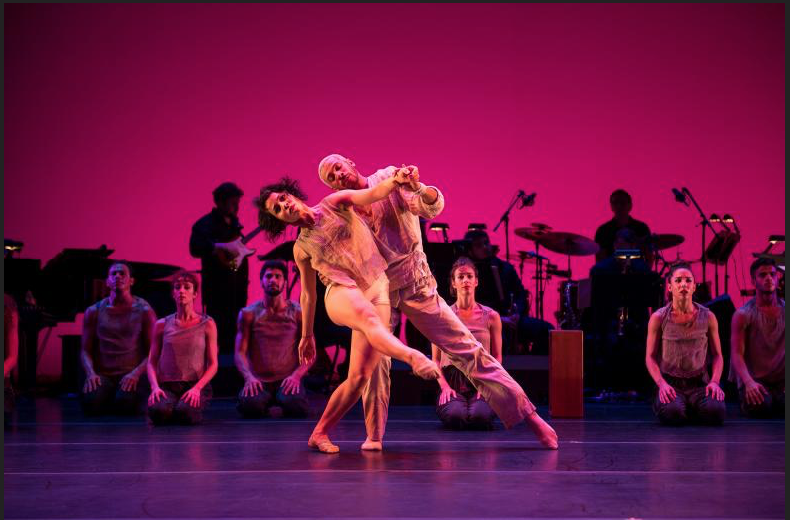 This feature in Live Design showcases Malpaso Dance Company from Havana, Cuba, performed Dreaming Of Lions at the Brooklyn Academy of Music’s Harvey Theatre, March 1-5, 2017, with lighting by Al Crawford. 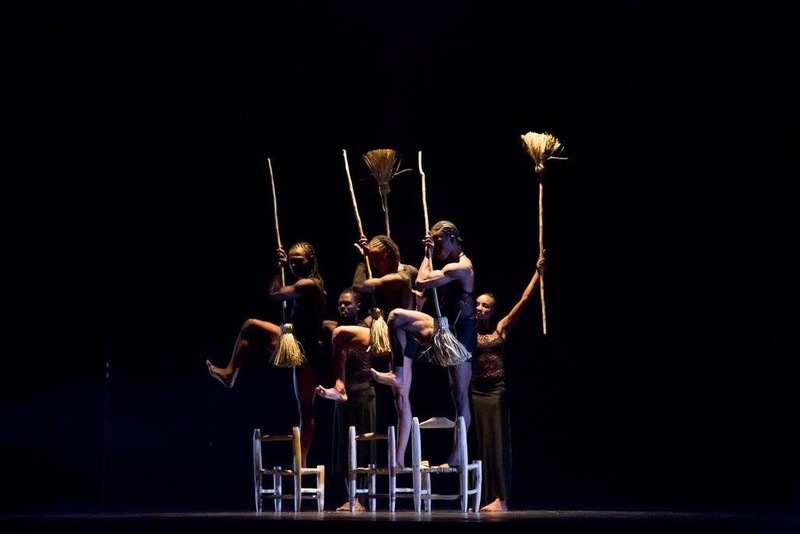 In this article, Lighting and Sound America details Al's design for Awakening for Alvin Ailey American Dance Theater. He discusses the music's impact on the design of the piece and the process behind designing the LED wall. This feature examines Al the high school student! Having spent his formative years at Interlochen Center for the Arts, his Alma Mater recently featured him in this piece that details his journey through their program. From actor/dancer/performer to lighting designer, click below to read about Al the teenager. Al discusses his time at UNCSA, the faculty members and classes that influenced him most, and the major influence that UNCSA had on his career. Light and Sound America celebrates Arc3's use of the Vari*Lite VL4K at NJPAC's 2014 Gala, Nothin' Like A Dame. Click below to read about why this fixture did everything we needed and more! In One features theatrical designers from many fields, from lighting to scenery to costume design, and more! Emulating the casual conversations shared by designers throughout their process, Pattack offers an opportunity for listeners all over the world to learn about the "magic makers" that bring so many worlds to life. In this episode Al shares all; from what its like being on tour to with Ailey, to the ins and outs of designing for the White House State Dinners during Obama's presidency and so much more! 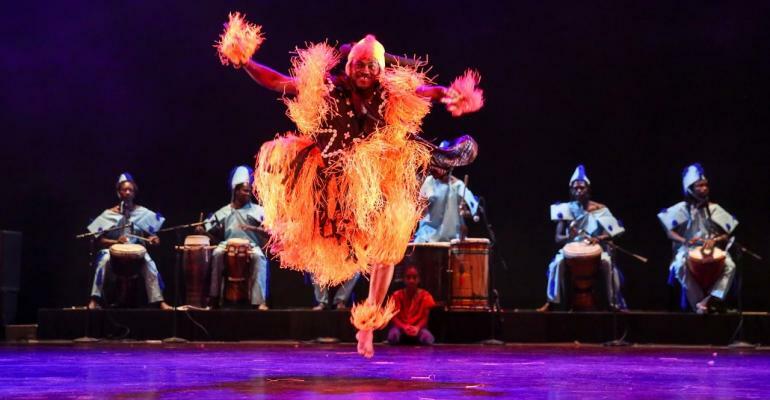 Live Design chats with Al about the lighting design for DanceAfrica festival at The Brooklyn Academy of Music (BAM) and his history with the festival. This special session, presented by Al Crawford, Alvin Ailey American Dance Theater and Arc3design, will provide a discussion of the art of lighting design as it is relates to hybrid design for not only, theater, dance and broadcast but a broader mindset and process for non-traditional performances, unique venues, visual art, and mixed media projects, cross genre installations. Check out this episode of Casting Light featuring our very own Al Crawford! 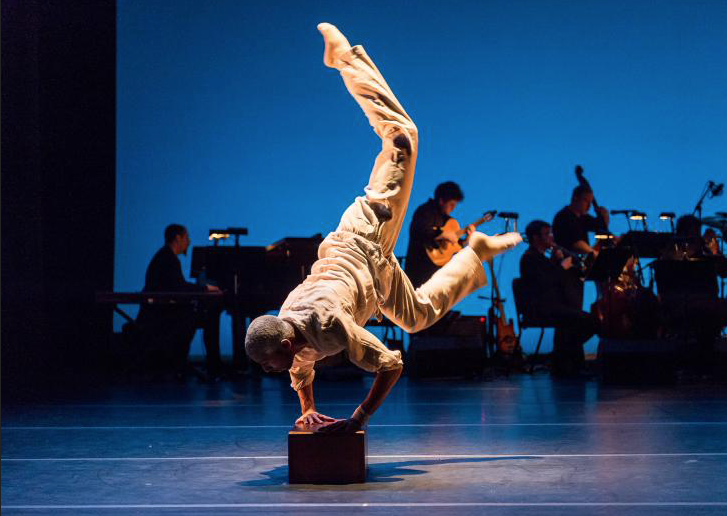 Hosts Jason Marin and Theresa Unfried discuss Arc3 and Alvin Ailey American Dance Theater with Al. Tune in for more about how Al chooses fixtures for a facade, his involvement with the Gilbert Hemsley Lighting Fellowship, and what excites him about lighting technology! Learn more about Al in this two part interview with Harman! In Part 1, Exploring the Choreography of Light, he elaborates on his childhood in North Carolina and Michigan, the difference between his position as both Lighting Director and Lighting Designer at Alvin Ailey American Dance Theater, and the evolution and maintenance of Ailey's plot through the two decades he's been with the company. In Part 2, The Purpose and Expression of Light, Al discusses the relationship of light and dance, the spirit behind his work, and some of the driving forces behind his various projects. In this spotlight interview with Chauvet, Al elaborates on "the emotional dimension of lighting as well as a host of other subjects from getting inspired at the start of projects to the art of collaborating with others." Read on to learn about Al's background as a dancer, design tactics and what keeps him inspired! About three years ago my friend and colleague John Richard at the Adrienne Arsht Center in Miami told me that he wanted me to be a part of something that was special to him. He began to tell me the story of Jeanguy Saintus and the company Ayikodans in Haiti. A number of short weeks later, I took a trip to Haiti to meet Jeanguy, the dancers and the company's rehearsal and performance facilities that had recently been damaged by the horrible earthquake. My trip was eye opening. In all of my travels around the world I had never seen such a place so filled with so much hope but with so little resource. Their theater, the back side of a rented home with a shed roof and naturally raked audience was very quaint and intimate. The main house, which had a number of rehearsal studios within, was literally broken in half. But there they were, the Ayikodans company ready to rehearse, ready to show me the pieces that Jeanguy had created for an upcoming performance at the Arsht Center. As I watched from a thatched chair placed in the front of the stage, enormous lemons fell from the trees above. Chickens scurried across the yard, below the ballet bars. Wild boar roamed in the streets. Again, there they were, ready to dance. These dancers brought such passion, love, pain, sorrow and dedication to this rehearsal that I was incredibly moved. These artists were dancing because this was their truth. This was their only voice. They danced as if it was the last time they would ever get a chance to speak. In awe, I pondered that IT WAS A REHEARSAL literally for me to watch and create a lighting concept. I was so taken by the passion of this company. After rehearsal, I got a very local tour of Port au Prince and Petronville. The blue tarps were a harrowing reminder of the death that had recently occurred. Many (most) of the fallen buildings still lay in rubble. The streets were filled with people. Most seem to be really struggling. The sadness amongst the community was significant. I had never witnessed anything like it at any point in my life. Jeanguy and his dance family treated me like their own. I stayed at their home and broke bread at their table. We quickly become great friends. Eventually, we reconvened in Miami to create the ballet and performances that we had been brought together for. Along with a very supportive team at the Arsht, we all created an evening of work that really showcased these powerful dancers and musicians. It was a wonderful success and audience and critics alike found the work to be moving. Since that inaugural project, I have been to Haiti many times. Each time to develop new works with Ayikodans. Some of my team members have made trips as well, getting the opportunity to experience it first hand. The last visit, I brought my wife whom was inspired to see why I was so passionate about them. Once she was there she fully understood. This company had an important message and should be seen. Things are finding their way in Haiti but they have a long way to go. The company has a new studio, built with some support by donations and a lot of sweat and tears by Jeanguy himself. The best part of it, is that it's theirs and no one can take it away. Our dream is a second studio built above, that will create more space for community opportunity and classes for the youth of Haiti. The company continues to develop new work. They have had performances in the US in recent years in Miami, Ft Lauderdale, Albany and Atlanta. Jeanguy has created works on a number of companies in the US as well. I think the company would really shine at some of the great dance festivals such as BAM Moves, NY City Center Fall for Dance and the American Dance Festival. I have no doubt that with time we will get this opportunity. My dream is that they have the opportunity to be seen by the world and share their wonderful stories through dance. I hope that if anything, you will do your research on this wonderful and important group of artists. They are some of the best I have ever seen. One of the reasons I wanted to begin a blog was to have the opportunity and format to talk about some of the people that I get to work with. So often, the associates, stagehands, technicians, shop account managers, vendors, etc rarely get recognized. My hope is that Spotlight:On will be a regular place to celebrate some of these uber talented folks in my life. Roya Abab, born in Seattle WA, is the Senior Lighting Designer at Arc3design as well as the Associate Lighting Director at Alvin Ailey American Dance Theater. She has worked with Arc3design for 6 years and Ailey for 4. She quickly has become a key player at both companies, bringing a sharp wit and extreme skill set to her projects. Roya did her lighting design training at the prestigious North Carolina School of the Arts under Norman Coates. Roya is absolutely the person you want at your side as your partner. She has a keen eye for design that is rooted in a broad love and knowledge of visual art. Her passion for food, culture, her Persian heritage and art makes her a perfect design teammate. She has become a driving creative force in the growth of Arc3design. In four years, Roya has toured with the Ailey company to Russia, Germany, France, Brazil, Argentina, Norway, Denmark, Switzerland, Spain, and Israel, mounting the lighting for Ailey's first company in some of the top theaters in the world. At Ailey, she manages the vast Ailey repertory paperwork, supports the guest designers and produces the plots that light up this great organization. At Arc3design, she has positioned herself to be the person that knows everything about my work. She is highly influential in design development and implementation of projects across all genres. She is truly respected by my clients and vendors alike. When I tell clients that Roya will be there, you can see them physically become at ease. Roya continues to freelance in her 'oh so often' free time. She is an excellent programmer of ETC EOS and GrandMA consoles of projects on any scale. Roya is one of the special ones I have no doubt we will be watching for years to come.